Every January, CES (Consumer Electronics Show) showcases the tech to look forward to across the year. The automotive industry has somewhat hijacked the show in recent years, with electric and autonomous revolutions now taking centre stage. 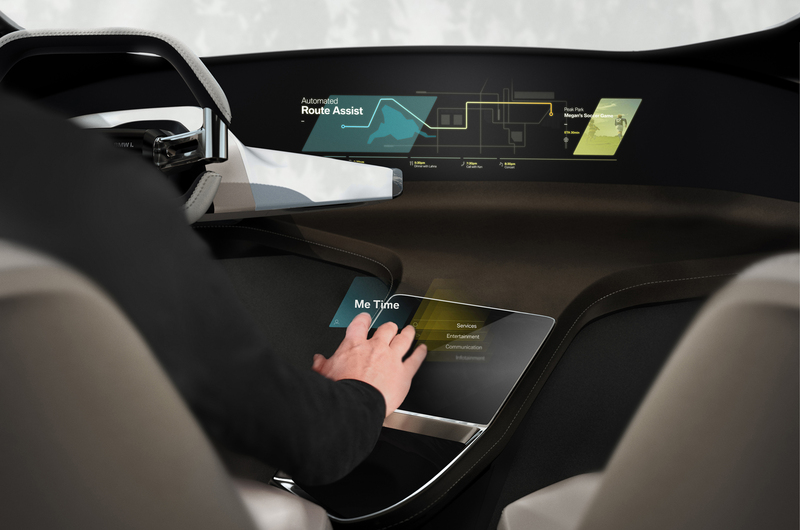 BMW has brought its cockpit of the future to CES, which will demonstrate the latest in its 'virtual touchscreen' technology. BMW says that using reflections, the tech can create a 'free-floating display' which is operated by finger gestures and gives tactile feedback to the driver to confirm the inputs. Bosch's CES concept demonstrates its latest voice control technology, which can understand more conversational language, instead of the more formal tone required to use voice commands on current systems. Following the Internet of Things trend, it also connects to the driver's home, and can control things like the windows remotely. Continental is up for an honor at the 2017 CES show, for its Short Range Radar with Trailer Merge Assist and Trailer Length Detection systems, which acts as a blind spot warning for drivers towing, and automatically detects the length of the trailer. Continental is making a presentation, as well as receiving the award. Although not manufacturers, tech producers Delphi and Mobileye will have one of the largest automotive exhibits at CES 2016, showcasing products in eight separate categories. Among these are automotive accessories, telecommunications and infrastructure, vehicle technologies and wireless services and devices. As their main exhibit, they are demonstrating 6.3 miles of autonomous driving on the streets of Las Vegas. Faraday Future revealed its FF 91 - its first production model - after a long and ongoing campaign of previews. A Tesla-topping power output, range and 0-60mph time which will beat just about anything else on four wheels are just some of the standout features. FCA has chosen to reveal its latest concept at CES, rather than the Detroit motor show in January. The concept, called Portal, is heavily biased towards 'millennials' and is both electric and autonomous, and places a large focus upon the interior space's response to autonomy, with flexibility and comfort placed high on the list of priorities. 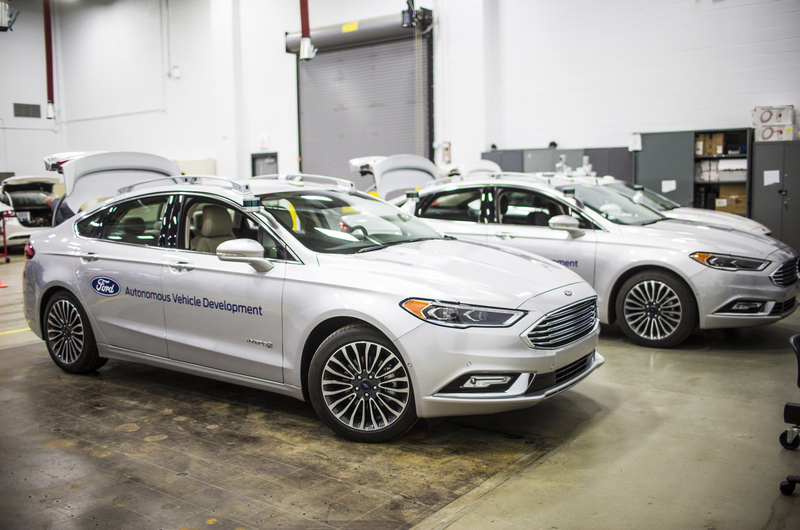 Ford is showcasing an autonomous, hybrid version of its Fusion (Mondeo in the UK) saloon to CES, to demonstrate its autonomous tech. Ford claims that the tech which will be displayed on the car is near-production ready, as tweaks improve the effectiveness of the sensors, software and controls, Ford claims. It'll also be heading to the Detroit motor show later in the month. Honda is taking an emotional approach to CES, as it reveals its NeuV concept with an artificial intelligence ‘emotion engine’ at the show. Of course, it’s an EV, but on top of that, it’ll be equipped with technology which will help alleviate traffic congestion, new forms of connectivity, and is penned as a ‘co-operative mobility ecosystem’ rather than a car. Another mobile display at CES will be Hyundai’s demonstration of its autonomous Ioniq. The fourth variant on the Ioniq name, the concepts will drive themselves along Las Vegas Boulevard to show off their autonomous software. The tech is expected to make it into production Hyundais by the end of the decade. Renault-Nissan and Mitsubishi boss Carlos Ghosn is giving a keynote speech at CES. The group announced that Ghosn’s speech will cover Nissan’s vision of future mobility, as well as announcing tech developments and partnerships. As a taster, Nissan has already revealed its plans for a mobility scheme based around the new Micra in Paris. NVIDIA is a name more commonly associated with gaming, but this year the tech company unveils its latest developments in self-driving cars and artificial intelligence, in addition to its traditional gaming stomping ground. CEO Jen-Hsun Huang has already given a pre-show keynote, which you can watch above. The company also announced its collaboration with Audi to make a car with artificial intelligence by 2020. Rinspeed, renowned purveyor of outlandish and tech-heavy cars, has shown a car-sharing-oriented, autonomous concept at CES this year. As a party piece, the car can rotate on the spot for easy parking, and the windscreen has built-in augmented and virtual reality technologies. 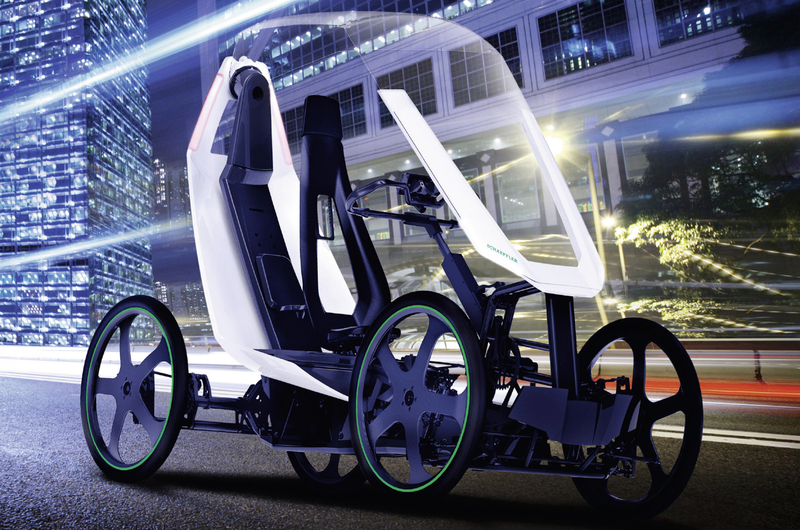 More of a mobility solution than a car, the Micromobility Bio-Hybrid from parts supplier Schaeffler combines the pedal power of a bicycle with an electric motor, and according to the company, provides a halfway point between a bicycle and an electric vehicle. It has an electric range of 50-100km (31-62miles) from a 250w-750w battery pack - depending on legislation in particular countries. Toyota's US arm has brought the Concept-i to CES, presenting its latest vision of how users and vehicles will interact. It features the latest in artificial intelligence tech, and has been designed by Toyota's California design centre. 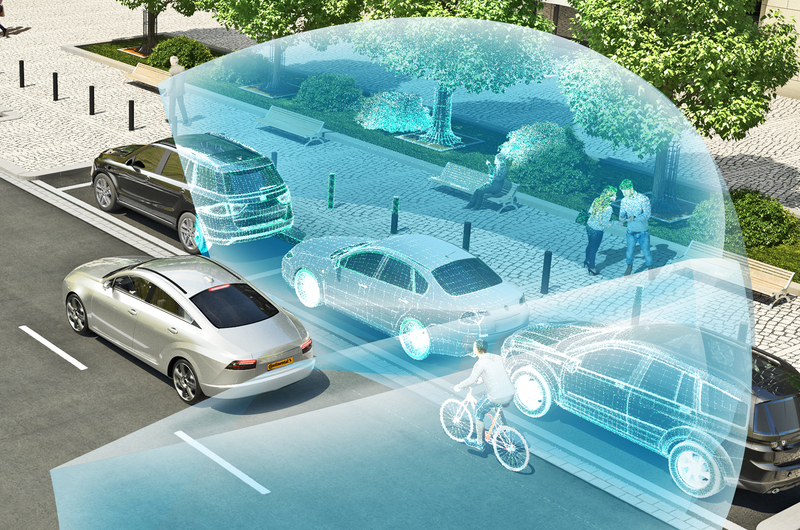 Toyota is also presenting connected vehicle tech, with the giant's next-generation 'framework' being showcased for its telematics and connectivity push. 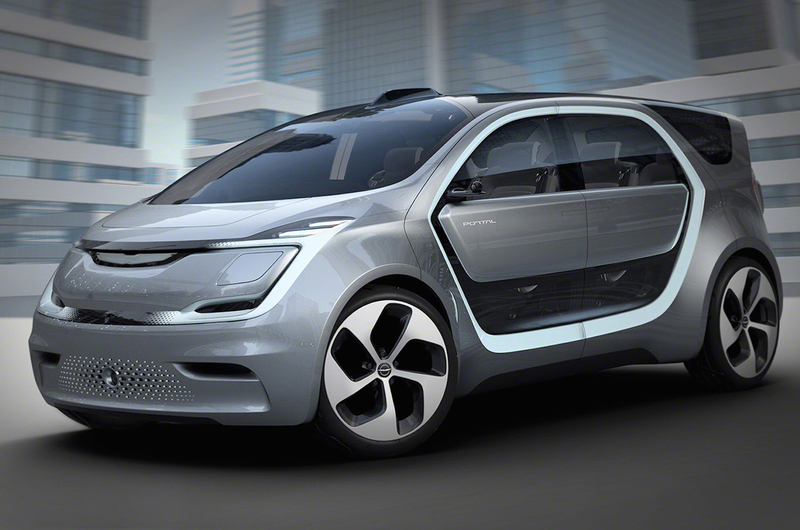 VW revealed the Budd-e concept at last year's CES, so we're expecting something big this year. The all-electric I.D. concept has already been revealed as the first in a range of electric concepts as the brand seeks to distance itself from Dieselgate, so it's expected that the next concept, to be revealed in January, will be another electric van. "The Volkswagen presentation at CES 2017 will focus on the networking of people, vehicles and surrounding environments" says Volkswagen. It's expected that the brand will further present its vision for a connected, autonomous future at CES, in addition to the ID concept and the above mentioned concept van.